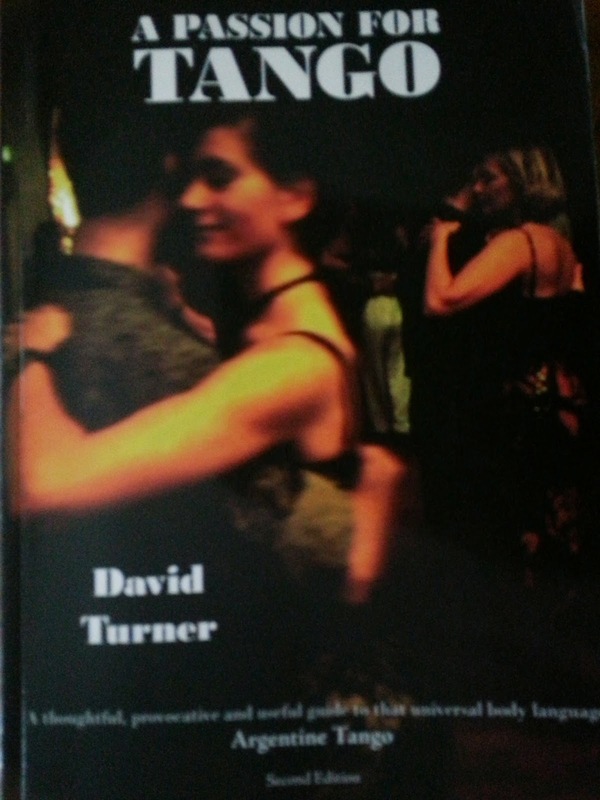 In his book David Turner gives us his personal development story and reflections on suitable ways to do a sacada. He is a very talkative Englishman and my dyslexic eye had sometimes difficulties to get the idea - some of my friends on contrary love this kind of descriptions. The following will be a short excerpt of the twelve pages in the sacada section. We start with the leader's forward sacada! The basic idea for sacada is the interruption, which is preventing the other dancer to collect the feet because of the sacada foot, which is blocking the way. An educated, skilled partner's foot is taking a detour around that foot before completing the step. According to David a slight contact with the two legs makes the sacada possible. The initial instruction he got was to place the sacada foot near the partner's departing foot and directly change his own weight on that foot. The problem was that the sacada space was hard to find, he bend down for a better look and destroyed the balance. He was anxious too of hitting/injuring the delicate foot in an open shoe. The sacadas started to flow when he understood the timing and start to place the sacada foot as soon as the follower had landed on her side step. When the follower is stepping evenly the sacada space will open and close predictably and the leader can feel the actual state of a step by feeling it through her upper body. With other words you feel from her upper body where and when a possibly gap for a sacada is. According to David the follower (receiving partner) can facilitate the sacada by stepping evenly and predictably. If she is well balanced on her weight-bearing leg and permitting her free leg full freedom of movement will make it all easier. During the dynamic part of movement the leg should swing away from the hip and the movement should in the whole feel quite natural. For me the idea of a line between the receivers feet and the sacadas intention to bend that line became the most valuable idea during the reading.